Why don't they go to Siberia and kill Polar Bears and Yaks? 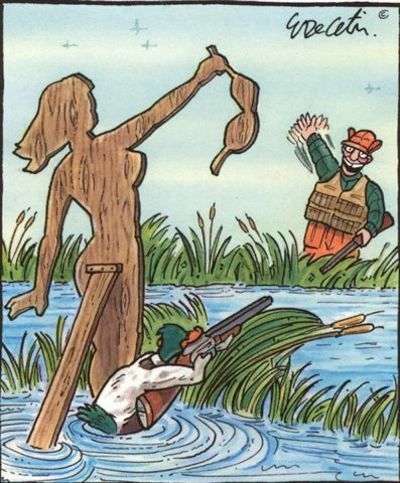 My position in re hunting is not a secret, with big stupid men with big maschine guns against poor little dumb animals . Edited by Arpa, 17 November 2008 - 05:01 PM. 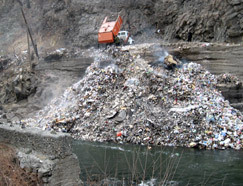 Every day, three trucks from the town of Alaverdi dump household garbage into the Debed River since the town has no municipal waste disposal site. At first glance I thought this was a picture of azies dumping decimated and pulvrized Khackars of Jugha into the Arax River. Che. Menq mard chenq darna yerb chenq karogh zanazanel keraman@ qaqamanits, ճաշարանը զուգարանից, kam shrjvats. Edited by Arpa, 16 February 2009 - 12:37 PM. Published: 20 February, 2009 Article tools printable version email to friend comments (0) share the article A 75 second video showing how a ranger at Khosrov National Forest Preserve killed a wild boar created a stir of Armenian environmentalists and has led to the dismissal of the ranger, Gor Hovhannisyan.
) was shot and uploaded online by environmentalist Mariam Sukhudyan, who was nearby when Hovhannisyan was shooting (in the Kakavaberd district of the reserve), in the presence of five employees of the reserve. (The incident took place on January 22, however, the video material occurred in the Internet after February 6, 2009). Even though a wild boar is not included in the Red Book (of endangered animals), as Artsrun Pepanyan, head of Public Relations Department of the RA Ministry of Ecology stated it is forbidden to hunt this animal according to the RA Law on Compensation Tariffs for Damages to Flora and Fauna due to Environmental Offences. (When a wild boar is shot outside the territory of the enclosure, the amount of fine is AMD 200,000 ($666), and within the territory of the enclosure – AMD 1,000,000 ($3,330).Besides according to the Law on Natural Areas under Special Protection hunting is prohibited in the territory of reserve. “The head of the district (Hovhannisyan) is dismissed and fined by AMD 1,000,000 ($3,330) for killing a wild boar within the territory of the enclosure; five employees got strict rebukes,” says Pepanyan. Still, some found that the punishment is not fair. Many believe that the shot of the forester is just the least of the violations of environment norms, while others say that there was needed just a cause to dismiss Hovhannisyan and that's why the video material was also broadcast by on Public Television (H1 channel). Rouben Khachatryan, Director of the Foundation for Preservation of Wildlife and Cultural Assets in Armenia, is not sure this case (as fining and firing Hovhannisyan) may help settle the issue. “I got to know Hovhannisyan as someone who does care about nature and this stir seems to be very artificial to me,” says Khachatryan. “As for the video, I believe a real environmentalist must prevent poaching instead of shooting (videotaping) it. And in fact, an individual case is not that horrifying as the fact that many oligarchs, as witnesses from neighbouring villages assure they arrive here by helicopters and ‘scythe’ by sub-machine guns dozens of animals (Armenian moufflon and Bezoar goat) registered in the Red Book,” says Khachatryan. Meanwhile, the RA Ministry of Ecology says that such cases are not registered in the enclosure, and that animals are killed only when, for example, it is necessary to figure out whether an animal is sick or not. “They can implement construction works here in the name of eco-tourism,” says Khachatryan. Eco-rights activist Gor Movsisyan says that the RA Law on Natural Areas under Special Protection must have privilege over the regulation of this reserve, because it is clearly mentioned there that any activity breaking the stability of the eco-system of the reserve, is forbidden within the territory of the reserve. A report by the Union of Investigative Journalists of Armenia reported last October that the territory of Gilan Reserve (118 hectares) was leased out for 60 years; and the construction of a hotel and a cafe started in the reserve. The right to leasing and building of the territory was given to Hovazadzor CJSC, registered in September 2007. Founders of the Company are Kamo Khachatryan and Mikhail Bezrukov. Kamo Khachatryan, 40, is from Vostan village, Ararat Province. According to the report (www.hetq.am) he has connections with Russian governmental bodies. And as for his connections with the Armenian governmental officials, they are rather tight - Khachatryan’s son’s godfather is NA Speaker Hovik Abrahamyan, who signed decisions granting the construction permission. According to Aghasyan, it is not possible to control the whole territory of Khosrov with the help of 76 rangers in the 23,000 hectare forest. As for the Khosrov’s Kakavaberd section, it does not have a new head yet; it is temporarily headed by the inspector of the neighboring Garni section. The statue of Armenian prominent prosaist Hrant Matevosyan is reported to have been vandalised in the town of Vanadzor on March 15. Policemen arriving on the scene found a 12-year-old teenager painting the statue red. Rudik Varosyan, Head of Juvenile Department of Vanadzor Police, says the boy simply wanted to "beautify" the statue. In the meantime, the adults indifferently watched the boy. An inquiry into the case is in progress. Is this an April 1 Fools’ Day story? Also remember Hakob Baronian’s “Tzruk piti paktsnem”. April 1st 2001 in Denmark, regarding Copenhagen's new subway. April Fools' Day or All Fools' Day, although not a holiday in its own right, is a notable day celebrated in many countries on April 1. The day is marked by the commission of hoaxes and other practical jokes of varying sophistication on friends, family members, enemies, and neighbors, or sending them on fool's errand, the aim of which is to embarrass the gullible. Traditionally, in some countries, the jokes only last until noon: someone who plays a trick after noon is called an "April Fool". Elsewhere, such as in Ireland, France, and the USA, the jokes last all day. municipality presided over by Mayor Gagik Beglaryan. works was developed, says the report. scheduled after the sanitary measures. least in the last 20 years, apart from separate cases," Beglaryan said. involved in the sanitary works. Edited by Arpa, 19 March 2009 - 09:22 AM. Hrazdan branch of the National Gallery of Armenia has been robbed on the night of 31 March. 18 canvases including Hmayak Hakobyan, Suren Safaryan, Martiros Saryan, Panos Terlemezyan, Stepan Aghajanyan, Sedrak Arakelyan, Mariam Aslamazyan, Gevorg Bashinjaghyan, Khachatru Yesayan, have been robbed. The Ministry of Culture is extremely indignant for such robbery. If you have information and can contribute to the revealing of such condemning robbery, please, feel free to call 52-39-03 the department of cultural heritage and values. mi amboxj azgi "tramabanutyun@" meqena u DUBAI e darel. "If Tsarukyan is such a tough guy..."
Sociologist Aaron Adibekyan is not going to prove his predictions or calculations regarding the rating of the Prosperous Armenia Party (BHK). Recently, BHK Leader Gagik Tsarukyan promised to give Aaron Adibekyan one million dollars (which later became drams) if the latter proved that his figures were real otherwise the sociologist would have to apologize to the BHK leader. "With his "restaurant mentality" Mr. Tsarukyan has insulted one of the greatest achievements of the 20th century-a science called sociology. I think Mr. Tsarukyan does not differentiate between sociology and a backstreet restaurant band which plays music upon the order." If Tsarukyan is such a tough guy, let him pay to Gallup for the latter to state that the Prosperous Armenia enjoys the highest rating in Armenia, Gagik Tsarukyan is the best political figure of the 21st century and BHK candidate Harutyun Kushkyan is the best mayor. Let him try to prove that we are corrupted specialists," said indignant Aaaron Adibekyan. Gagik Tsarukyan has also promised to punish Aaaron Adibekyan if the latter didn't refute his false figures. "I cannot refute something I haven't expressed an opinion about." The sociologist says that during an interview to Shant TV, wrong information was aired. "It was a mere misunderstanding. I haven't publicized the ratings of parties' blogs yet. They will be ready after two or three surveys. I only mentioned that the ratings of the parties' first candidates and political forces differ greatly. I illustrated Mr. Kushkyan as an example saying he yields to BHK and Levon Ter-Petrosyan's rating prevails over the Armenian National Congress-HAK." The data help realize whom the voters prefer most-the political force or its candidate. Part of the opposition electorate is uncertain about the upcoming election. "If the ARF-Dashnaktsutyun proves during the campaign that it has become a real opposition, most likely they will vote for the Dashnaktsutyun. To announce oneself an opposition doesn't secure votes for a party. The ARF still needs to make its voice audible as an opposition. Time is pressing and the party may not manage to do it." <h2 class="title">Aryan Union Leader in Hospital: Car Accident or Savage Attack?</h2> [ 2009/05/05 | 13:58 ] important criminal The Armenian Aryan Union and the “Lousantsk” weekly have issued a statement regarding the alleged car accident on May 4 involving Union leader Armen Avetisyan. The statement claims that the wounds suffered by Mr. Avetisyan show that rather than being hit by a car, he was assaulted and beaten by as yet unknown assailants. The statement says that Mr. Avetisyan had been phoned by a man called Arkady between 10 am to noon, yesterday. The man said he was calling from the National Security Service. Mr. Avetisyan left his office to meet with Arkady in the vicinity of the “Ayrarat” movie house for a meeting scheduled at 12:20 pm. At 1:10 pm, Mr. Avetisyan called his office to say that he was returning. When he failed to show up, the office staff tried to reach him on his cell phone but he didn’t answer. The staff tried several more time, but again Mr. Avetisyan didn’t answer. The statement even says that they sent SMS messages which were recorded as being received on May 5 at 2:26 am. The statement continues that the Aryan Union staff called the city ambulance dispatcher but that they answered that no one with that name or fitting the description of Armen Avetisyan had been transferred to hospital. At midnight, the staff then contacted the Kentron police department, after which they started making the rounds of hospitals to find the Aryan Union leader. They ultimately found Mr. Avetisyan at the Erebuni Hospital in serious condition. Hospital records show that Mr. Avetisyan had been taken to the hospital as an “unknown” person and was admitted at 2:00 pm yesterday. He was unconscious when admitted. The statement reads that Mr. Avetisyan had wounds to the head, chest area and extremities. The Aryan Union has called on the government to find out what exactly happed to Mr. Avetisyan yesterday that wound him in the hospital. This is scary. I am surprised no one has picked up the story. We are still feeling the pain of the likes Dr. Carolann Najarian. A few years ago, one of my cotravelers was an American Armenian with enough money, whose dream was to be a “gentleman farmer”in Armenia., A gentleman farmer is one who sits in its office and let the peasants do the dirty work of shoveling cow droppings/kov kaka, Little did he know that some think a “gentleman farmer “ is a native of Armenia who considers the diasporans as a “cash cow “, whose tsitsiks will be cut out when the milk has dried out. http://i229.photobuc...iryCowPhoto.jpg He thought he had found the perfect contact, a young man, I forget his name, who had a Russian made car and took us here and there, all good. All that time I had this queezie feeling that this diasporan was being taken “ön a ride”. Since, that well meaning diasporan, a comptariot of Dr. Najarian has gone to that “gentleman’s farm” in heaven. How many more dreamful “gentleman farmers/cash cows ”do we still have? "Yesterday's poll was a real shock for us. The whole process was accompanied by infringements of different scale; there was great crowding and stuffing at polling stations." Mrs. Kostanyan qualified the election in Malatia-Sebastia district as the most immoral and cynic. Together with the Helsinki Citizens Assembly of Vanadzor (HCAV), representatives of the Transparency International witnesses ballot stuffing, bribery, violence against observers and journalist and numerous infringements. Arthur Sakunts, Head of Vanadzor office, says he was even invited to dinner. After becoming convinced that Sakunts couldn't be bribed, they tried to threaten him: "You have seen too much. We shall glue your eyes so that you will see nothing". Election commissions are set up to rig elections," announced Mr. Sakunts. Amalia Kostanyan quoted a commission chairman: "Do you understand that I keep a family and solve the problem of daily bread. I am even ready to kill a human being to keep my family". What's the use of speaking about elections if someone says he is ready to kill a man?" wondered Mrs. Kostanyan. Unlike international observers, the local ones do not assess yesterday's vote as positive. "If observers said the elections of 2007 and 2008 were in line with European standards, today they were supposed to make a similar statement. This is a policy," adds Mrs. Kostanyan. She thinks 15 people cannot conduct an observation mission and give a positive assessment of an election. "Shame on them," added Arthur Sakunts. Note that the phrases "Shame on them" and "This is a policy" were not translated for the representatives of the Council of European.